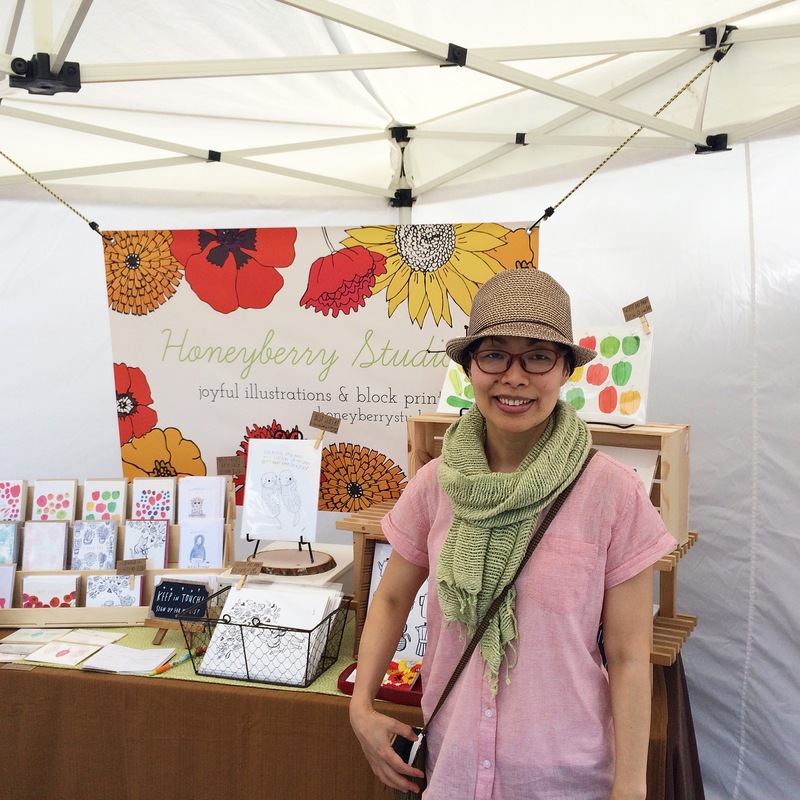 Last month I participated in the Shoreline Arts Festival for the first time. Shoreline is a city that’s located just north of Seattle. The Arts Festival is their long running annual summer event (it was their 26th annual festival! ), and I had a great time! Everyone I interfaced with, staff, volunteers, and people in the community, were very welcoming and friendly. I got the vibe that the community supports arts of all sorts, and it was so nice! Me and my booth at the arts festival! 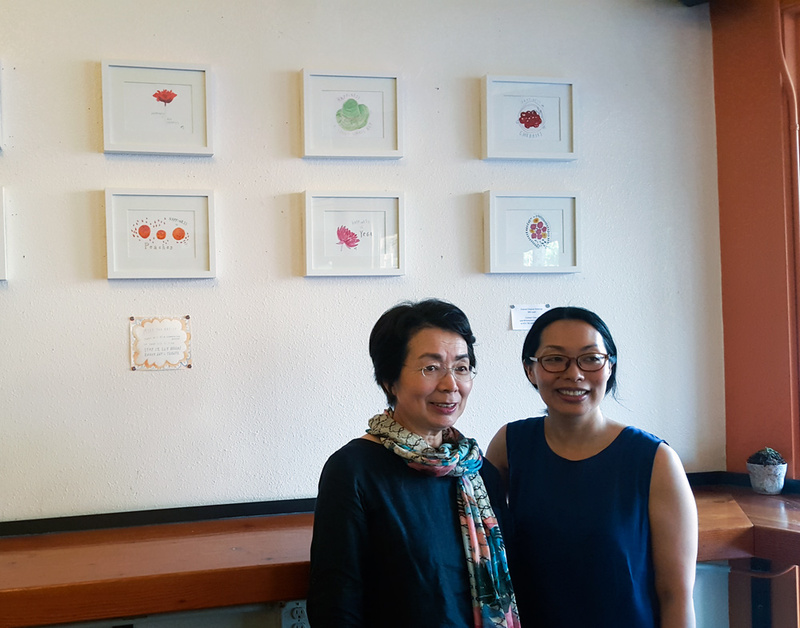 As part of their marketing for the event, the Shoreline-Lake Forest Park Arts Council wanted to feature participating artists, and I got the honor of being interviewed for their blog article. -Describe a typical day in the studio. Do you have a routine? What do you listen to when you do your creative work? I usually get up between 4:30 and 5am every morning and meditate for half an hour to an hour. 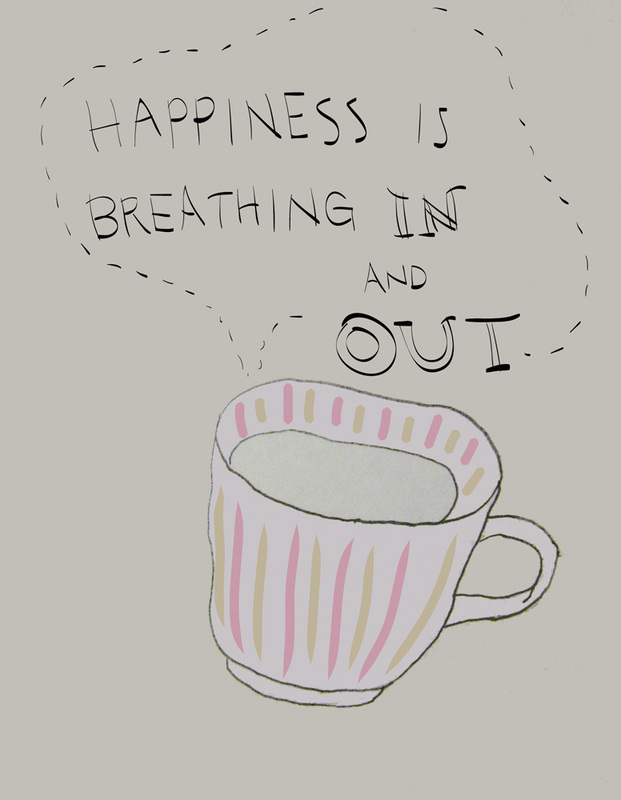 I sit quietly and focus on my breathing. My mind tends to wander, thinking about my day and what I need to do. When I notice my mind going elsewhere, I try to bring my attention back to my breathing and how I’m feeling in my body. Often my mind keeps wandering the entire time I sit, but it still helps me to start my day with calm and quiet mind. After my meditation, I go to my workout class at the gym in the neighborhood or do some writing on days I don’t have my workout class. I tend to do more of a “brain” work in the morning, like writing, marketing, and doing the finances etc., as I don’t naturally enjoy those tasks, and it takes more focus, and mornings seem to work better. Although I occasionally do writing at coffee shops, I hardly ever do my art work outside the home. Creative work feels more vulnerable, and I prefer to do it alone in the comfort of my own space. I also set aside a couple of hours in the afternoon every week to read articles or do some learning, like watching a webinar. These are “fun” things for me and kind of a reward after taking care of my “business-y” tasks! I make a point of not checking my email and social media until after my morning routine of mediation, workout, some writing, and breakfast because as soon as I dive into my email and social media, my mind gets cluttered with information. I have all the browser tabs and notifications off during the day so I don’t get distracted. I do manage my email and social media throughout the day when I have a small window of time between my other tasks. I work until 5:30-6pm or so and make dinner if it’s my turn to cook. As far as what I listen to while I work, I either don’t listen to anything or play some easy music on Pandora (my favorite is Laid Back Beach Music station) while I write. When I do more visual work, I listen to a couple of podcasts related to business or storytelling podcasts, like This American Life and Moth Radio. -What is your artistic medium of choice? Why? My favorite artistic medium is pen and ink, markers, and watercolor. I use Sakura Pigma Micron pens and Koi Coloring Brush pens a lot for my drawings. The Micron pens work so smoothly and consistently. Their Koi Brush Pens come in a wide range of beautiful colors, and I enjoy layering the colors to create subtle hues. They’re portable and easy to use when you’re on the go as well! Perfect to take with you when you’re out and about and do a little sketch. I’ve always enjoyed painting with watercolors, too. I love how they create softness and radiant light on paper. I also block print on fabric and paper. I love the whole process of drawing, carving, and printing. It’s very tactile, and I find the block printing process to be meditative. 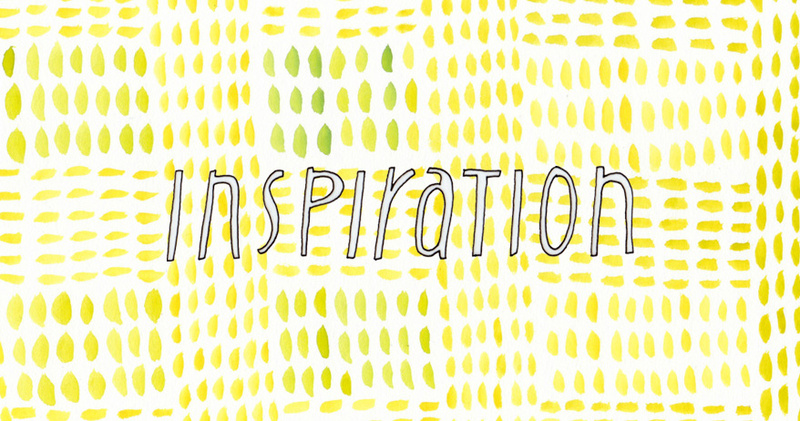 -Who or what inspires your work? I often find my inspirations from nature, animals, and food. I love to eat!! 🙂 I notice little things when I walk around the neighborhood, like leaves on the ground or beautiful flowers in my neighbors’ gardens. We also grow some veggies at our apartment and a community garden, and it helps me stay connected with the soil and seasonal changes. 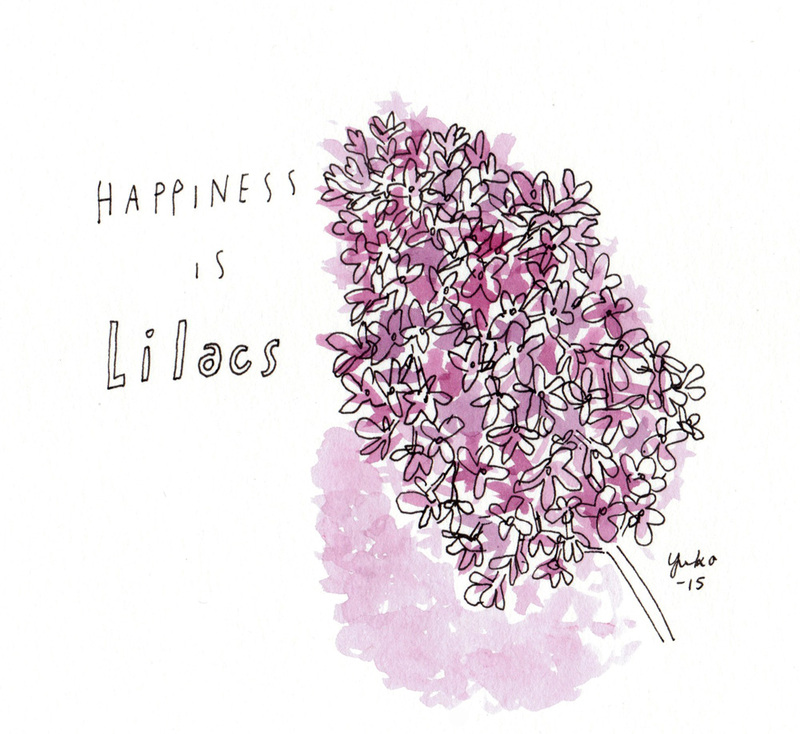 When I notice small everyday things that make me happy – like blueberries in our container garden glistening with morning dew or my cat happily napping in his favorite chair in the sunshine – I try to remember that feeling and express the joy in my artwork. 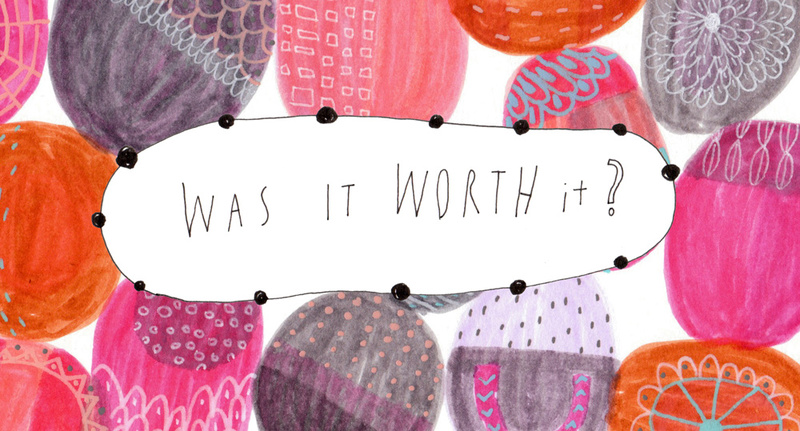 -What do you consider your biggest artistic achievement or accomplishment? I’m a self-taught artist and began my practice in my early 30s. I was drawing and painting for several years as a hobby but never thought I could be a “real” artist. But last summer, I took a leap of faith and quit my day job to pursue my passion full-time! It’s definitely not easy to make a living from your passion – I’ve experienced many ups and downs in the last year! But I feel so privileged to be able to follow my passion. I’m learning something new every day, and growing my creative business has been so rewarding. -If you could only use one color for the rest of your artistic career, which would you choose and why? Wow, what a great question! I would say black (though it’s not really a color…) if I had to choose one. 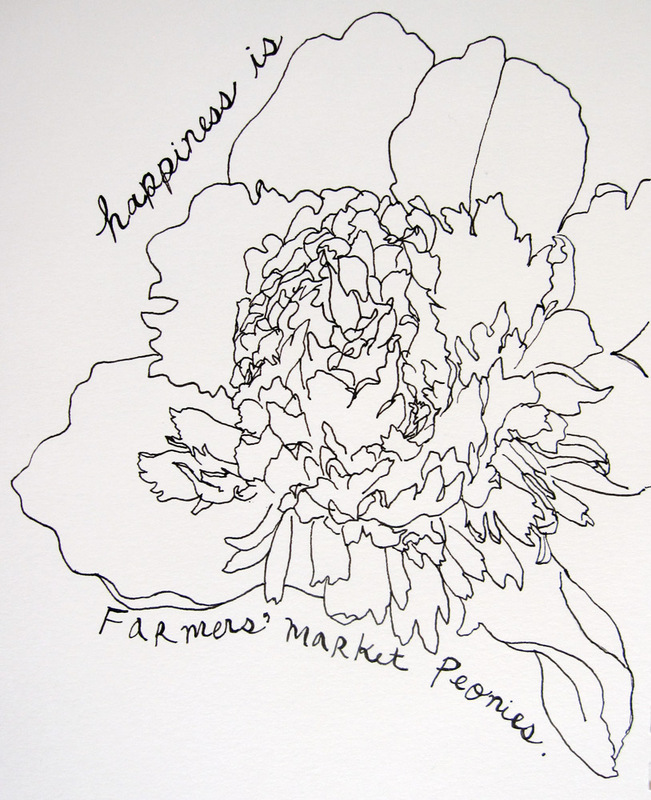 I love to create simple pen and ink line drawings and have phases every now and then where I create art with just black pen or sumi ink on white paper. No colors added. I enjoy the clean lines and how expressive simple black and white line drawings could be! 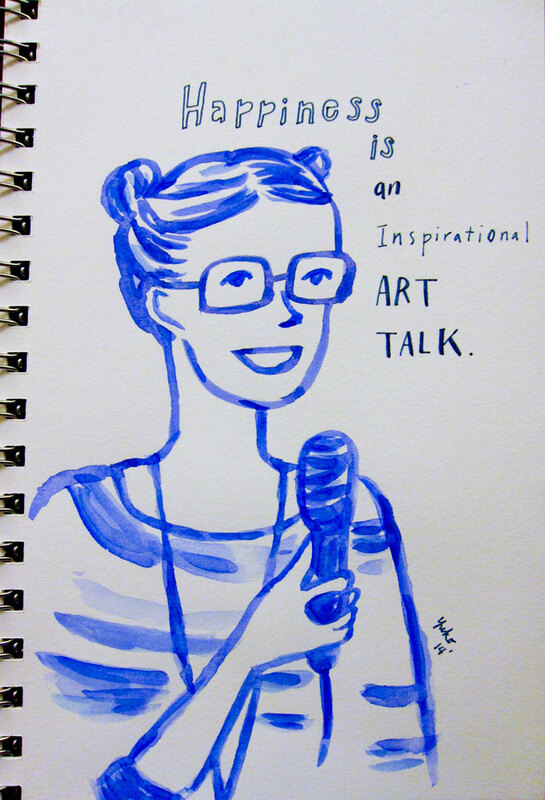 -What’s the best advice you’ve ever gotten about being an artist? A few years ago, I was studying Graphic Design at Bellevue College. At the time, I didn’t believe I could be a working artist and wanted a more practical “job” skills that were also creative. While I liked learning designs, I also had this nagging feeling that it wasn’t something I loved. On the last day of my portfolio review class, my instructor noticed how much I incorporated my drawings and illustrations in my portfolio pieces. She said I wasn’t a bad designer, but I should follow my heart and pursue art if that’s what I really wanted to do. It’s kind of silly, but that one comment she made gave me a permission to follow my heart. It finally clicked for me that what I wanted to do was to make art, and that it was OK to do so wholeheartedly. I hope you enjoyed my interview with my friend and my accountability partner, Whitney Thoren, last week! It was nice for me to hear from her what her experience has been, and it also validated my reasons for having accountability meetings. So, today you’re going to hear from my other (and original) accountability partner, Stefanie Robbins. Stef and I go way back. We were also co-workers at our old day job doing direct service for survivors/victims of domestic violence. We remained friends after she moved on to different things several years ago. By the way, many people have told me I keep in touch with my old co-workers/friends very well. And it’s true 🙂 As adult, I don’t meet new people or make new friends very often, so ones I like I want to keep forever! And guess what? Stef met all of my accountability partner wish list! So I began writing her an email asking if she’d be interested in being my accountability partner and meet regularly to check in on our goals. I was SO excited to reach out to her because I just knew our meetings were going to be awesome. She responded to me with an interest, and we had our first meeting in March of this year. We’ve been meeting monthly since then. We typically meet at a coffee shop in our neighborhood and check in about how things are going and how we did with our goals. We support each other and help set goals for our next meeting. I’m friends with both of my accountability partners, so we do talk about personal stuff, too. I feel I can support a person better if I have a bigger picture of what they’re going through outside of their career/creative goals. However, that’s more my personal preference, and it just works better that way with friends, so if you want to keep your accountability meetings more business, I think that works just fine, too. OK, enough introduction from me! Here is Stefanie! Please introduce yourself to my readers. Tell us a little bit about yourself! Hi All! I am a mama, a musician, a therapist and each of these identities are front and center in my life right now. I have two children ages 5 & 9 and, as a family, we stay very engaged in our school community, Jewish community and neighborhood. 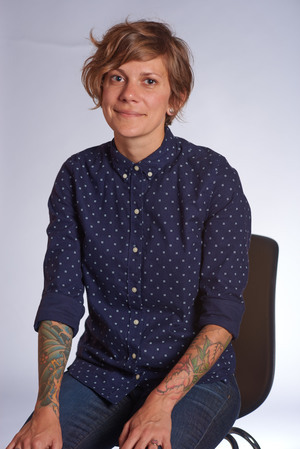 I work half-time at a community mental health agency providing counseling to young people ages 5-22 and their families. Since I was a child I was singing and making up songs. 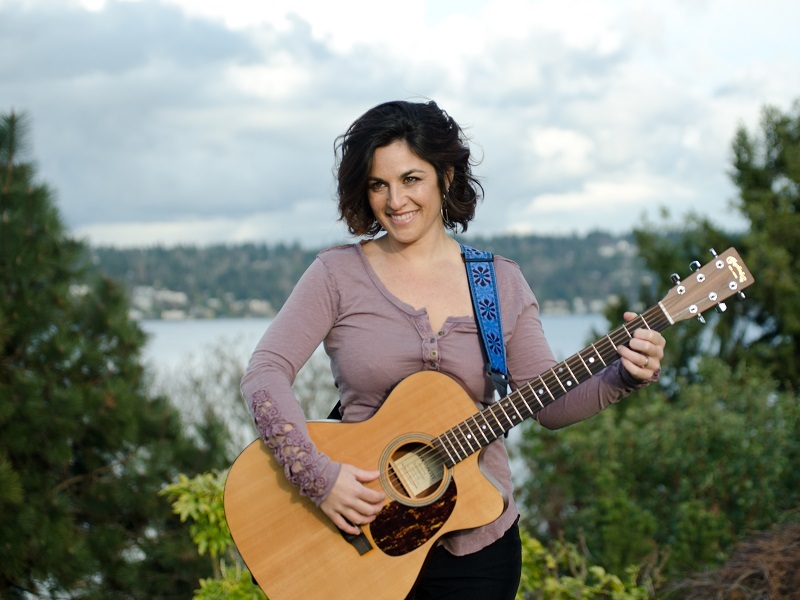 I started voice lessons at a young age, participated in choirs and musicals, attended a specialized performing arts high school and began University as a Music Theater Major. As I was “launching” into young adulthood I had a crisis of confidence (maybe it was pragmatism?) and stopped most avenues for performing that were familiar and had a structure I understood. For a while, I dabbled in a bands, songwriting with friends, and “a Capella” over the next few years but nothing really stuck and filled the music (on a soul level) and I was aimless. Other parts of my life were blossoming at their own pace and, over all, going well – personal identity, career, a wonderful partner and marriage, house, kids – but something was deeply missing and it was music. Something shifted in me after having my second child and I knew I needed to pursue my music goals and reach my own potential. The universe aligned and many of my fears and questions got the attention and answers needed to press on. I continue to do daily work on resistance and pushing through my doubts (some days are easier than others) and struggles and have found mountains of support from friends, family and a community of artists/musicians. I completed my first EP “In the Sun” and am currently working on my first full-length album with the goal of recording in January 2016. 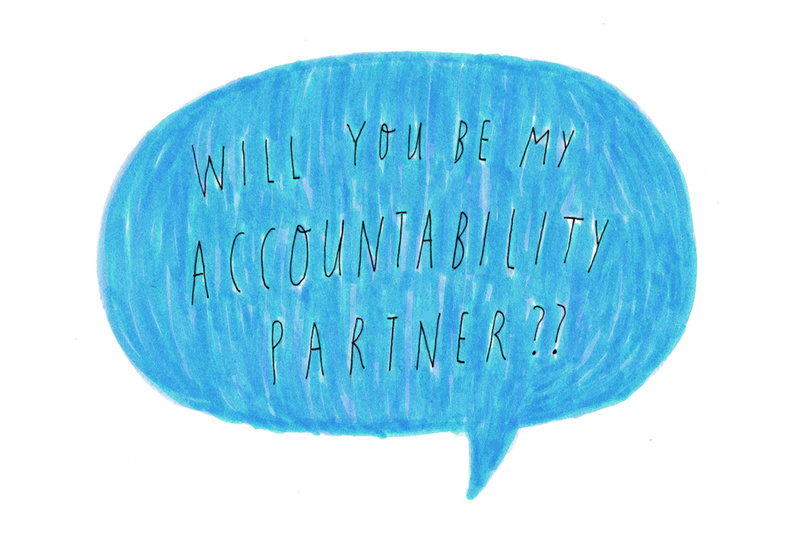 Why did you decide to become my accountability partner? What were your initial expectations? 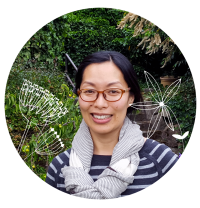 Yuko initiated the conversation about being creative accountability partners and a few things helped me reach the decision to say yes. First, being asked! That is a huge piece of the puzzle! I was inspired by Yuko’s courage to be an artist and because I know Yuko to be reliable and kind, so I felt it was safe yet there was still a little jump to trying something unfamiliar. I was familiar with the idea of mentorship and have enlisted support of many more experienced musicians for guidance and advice. What was different about Yuko’s ideas is that it is a partnership. My expectations were that we could support one another in our individual goals and that when we listen and teach each other, we learn and apply it to our own stories as well. How has having an accountability partner helped you? Any examples of the changes you’ve noticed or progresses you’ve made in your own practice since you started meeting with me? Having accountability and specific, concrete steps toward meeting lofty goals has been incredibly helpful. I have set goals in the past but often left too much time in between the goal and the deadline. With this model, we meet monthly and set baby-steps toward an overall bigger goal. One example of a change I made because of this partnership is when I was approached to do a performance for a non-profit that would also help me raise money for my album production and I was afraid to say no and lose the opportunity EVEN THOUGH my schedule was packed with other shows that were taking a lot of time and energy that I needed. Through the accountability partnership I learned to shift my ideas around timing – not doing everything NOW is ok – but looking at the ways I can move things to fit what I am capable of doing. I reached out to the person who asked me to perform and suggested we revisit the idea in the fall and that is what we did. It worked out and we are in conversations now about how we can work together. In your own experience, what are the most valuable things about having an accountability partner? The infusion of energy and intention around my music and goals is incredible. I may come in to a meeting thinking I have not done enough that month or that I am off track but the point of meeting is to explore what I HAVE done (and to celebrate that) and what barriers were in the way (mental, financial, health, etc.) for what I haven’t yet done. I find it very pragmatic and goal-oriented but also validating and supportive of where I am now. 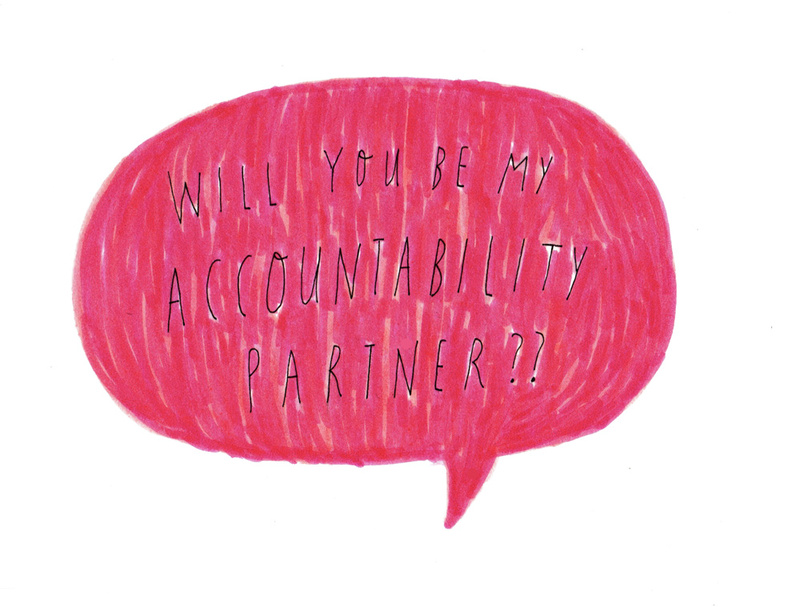 What do you think are important to look for in an accountability partner? I believe the things to look for are a person who be consistent (monthly works for me, about 60-90 minutes), a person with non-judgmental approach, and an active listener, practical and lofty (able to hold both), some ability to be vulnerable and share their own stories and struggles, someone who is invested in their own goals and can relate to what the other may be experiencing. Any words of wisdom for someone who’s thinking about having an accountability partner? Find someone who inspires you and approach them with the concept. You may be really surprised but many people are willing to be part of your support network if you ask. And where can people find you? Oooh! Self-promotion, yay! Uncomfortable! Necessary! Wonderful!! Thank you for taking the time to share with us! Do you have someone to check in about your goals? Find someone if you don’t! It’ll totally boost your motivation, and you can do the same for them too. FYI – If you just can’t find someone in your community, I’m working on launching exciting new services to help provide on-going support and accountability to people pursuing their creative goals early 2016, so stay tuned! Have a wonderful day! See you next week. I’ve shared in my past blog posts about how my accountability partners have helped me stay motivated and focused on my goals. Accountability partners are someone you meet regularly to check in about your goals and provide support. Maybe you don’t need any external support to achieve your goals, but many of us do better when you know someone else is counting on you! I used to practice Bikram Yoga (a type of hot yoga) a lot. The instructors often said “showing up is the hardest part of the practice” and it’s so true. You know it’s going to be hard. In the beginning of the class, I always thought “Why am I here? I’m going to DIE!! !” It’s SO hot in there. You sweat and hold difficult poses. You feel so beat and uncomfortable. But then after the class, you feel amazing. You feel so refreshed and renewed. What motivated me to show up oftentimes was that I had a couple of buddies to go to the class with. Sometimes I gave them a ride, and the other times I just met with them at the studio. Either way, I chose to go to my yoga class because I knew they were expecting me to show up in some ways. And once my yoga buddies moved on, it naturally became more difficult for me to consistently show up for the class. Boo! Whitney has since gone back to school to get her Master’s in Organizational Leadership. She also quit her day job earlier this year to start her own consulting & coaching practice! Her thoughtful approach to helping others grow has really inspired me. We were having dinner one day, and at that time I was contemplating getting a different day job that might be less stressful and draining. Whitney had just quit her day job then, and I had another friend who had just made a big switch to pursue her creative passion full-time. I was totally inspired by their ability to quit their day job to pursue their dream and wanted a bigger push to make something happen in my life, too. I was telling Whitney about how my accountability meetings with my other partner, Stef, have been helping me stay on track. Whitney was going through her big transitions then and thought having an accountability partner might be helpful for her, too. Naturally, we felt like we would be a good match because we knew and trusted each other already. We were also at a similar point in our life starting something new for ourselves and experiencing similar challenges. Plus, it helps me, an introverted homebody, get out of the house to actually see a friend regularly! Anyway, I wanted to hear how our accountability meetings have helped her achieve her goals, so I interviewed her! Without further ado, meet Whitney. Hi, I’m Whitney Thoren. I am originally from Colorado. I moved to Seattle about 6 years ago, which is when I met Yuko! I’m married to musician/designer, Irene. We live with our two cats in a funky old house in the north part of the city. I love to ride my vintage Honda motorcycle. Earlier this year I left my full-time job, in an unrelated field, to start my own innovation consulting practice, Whitnums. I create and facilitate experiences related to change and growth for both for individuals and larger systems. I am inspired to help organizations be kinder and more empowering places for the people who work there. I’m currently in the process for building my reputation and finding clients. The idea of an accountability partner seemed to emerge organically for Yuko and me. We were both in similar places in our professional lives, and agreed that having someone to offer a more specific type of support would be value in our process. I experience our accountability relationship as space to bring our challenges, personal and professional. We don’t always need an agenda. One of the great things we can offer each other space to share our fears and insecurities too. Sometimes those meetings are the most helpful. Someone who is serious about being there for you and has the space in their life for the commitment. Someone who is open to you and your feedback. Someone you trust. Go for it! Nothing bad can come from it. It is truly a special relationship to gift yourself with. 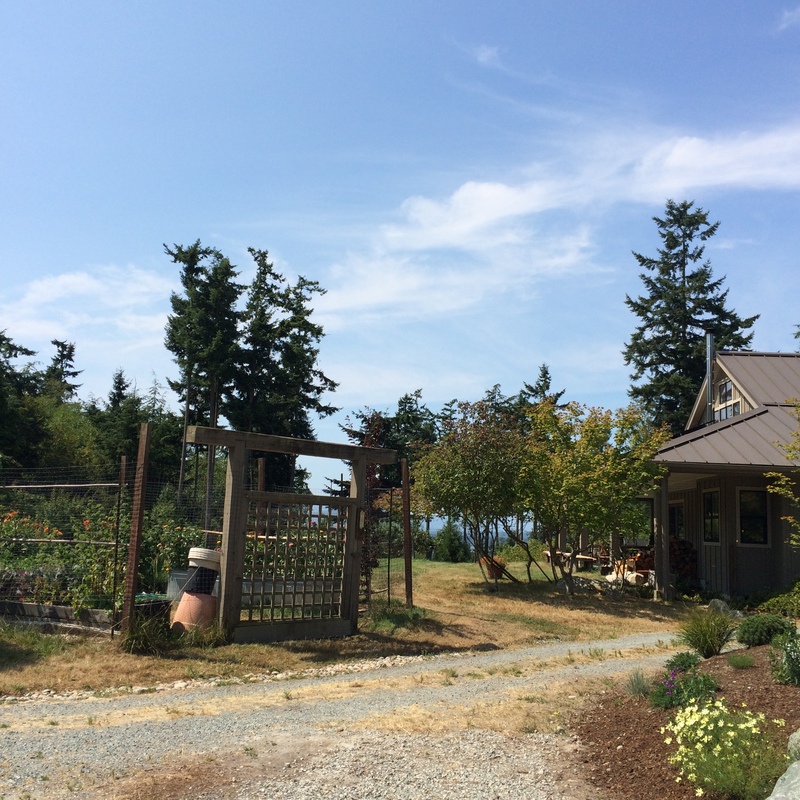 This is my very first sabbatical blog post. 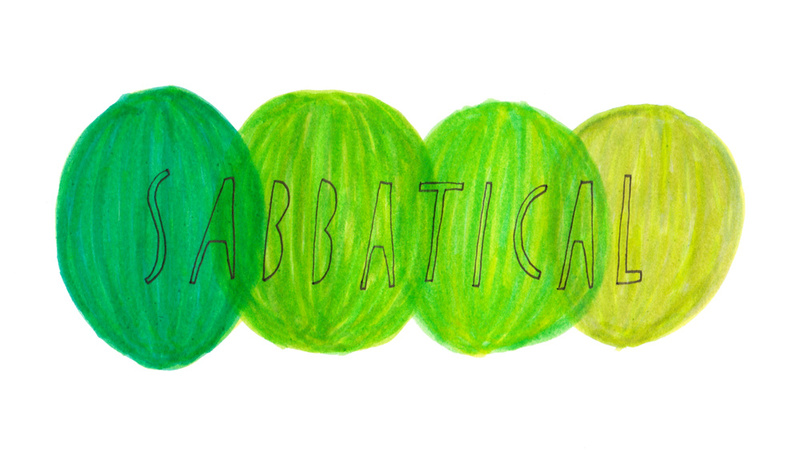 By the time this post comes out, I’ll have finished my first sabbatical week! Woo hoo! I’m following Seanwes‘ advice (I pretty much follow all of his advice) to take every 7th week off to step back from my day-to-day and recharge. To learn more about the small scale sabbaticals, you can watch his short video or listen to this podcast episode. If you’ve been following along my weekly blog, you probably know that I quit my day job to pursue art full-time at the end of July this year. Ever since, I’ve been hustling pretty much non-stop. I’m grateful for all the opportunities and all that I’m learning every day. At the same time, I was drained. It’s weird right? You’re following your passion and are able to do what you love all the time. I should be happy and more full of energy, shouldn’t I? The thing is, it’s still work. In a way it’s even more taxing than being in a day job because now you’re 100% responsible for whatever happens. I’m mentally more engaged every day, making all the decisions and thinking ahead. And making a lot of art can be hard on your body, too. When I was toying with the idea of taking a week off regularly, I was hesitant at first. I just started doing this full-time not too long ago, and my business is still at an early stage of growth. Is it smart to take a week off now? It’s not like I have paid vacation any more! I started thinking, well, maybe I can take sabbaticals later when my business is bigger and then I can afford to take a time off. And then I had to shift my mindset around a few things to really recognize the benefits of taking a regular time-off. By taking a week off every 7 weeks, I may have a small loss in sales or client work. But if I put off taking care of myself, I’m going to burn out for sure. 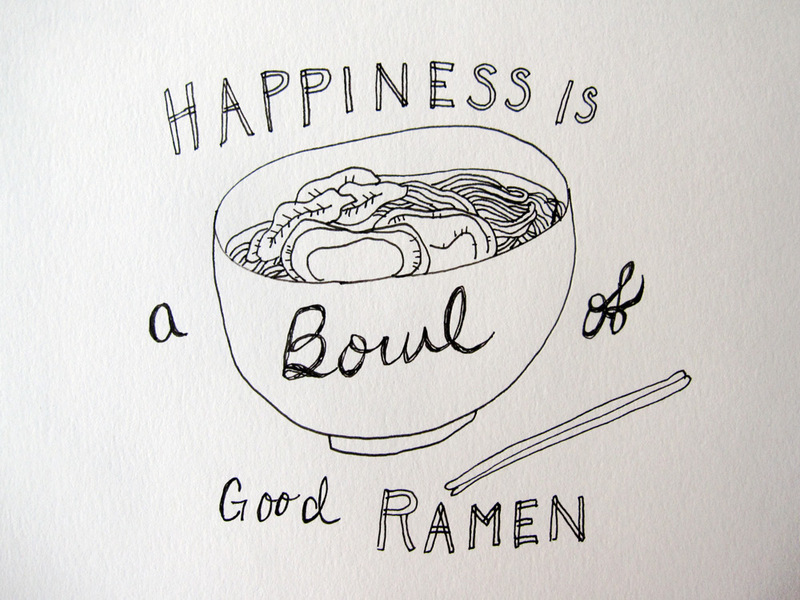 There is absolutely no doubt about that. And if you’re burnt out, there will be no passion to pursue. That’s the worst thing that can happen to any creative people, right? When I worked with people affected by domestic violence in my old day job, we often talked about self-care as an ethical obligation. Working with people with trauma could cause you to have secondary trauma, which will lead you to burn out. If you don’t recognize the signs of burn-out and take care of yourself, you’re not going to be able to help people effectively. Not to mention your own happiness, and your personal relationships will suffer too. I know that growing a business is hard work that could take many years. If I put off taking care myself until I could “afford it”, 1) it may never happen because there are always things to do, and there is never a “good” time to take a time off, and 2) my business may never grow to the point where I feel like I can “afford it” because I’ll burn out and quit. Neither option sounds good, does it? Focus on my long-term project – e.g. web redesign, new service development, future visioning etc. I know for sure that the long-term benefits of taking mini sabbaticals far outweigh any short-term losses. Plus, one week is not that long… It’s not as big of a deal as taking a year off or something! If you get behind during the week off, I’m sure you can catch up in the following weeks because your time off will make you even more productive. Win win! Oh I can’t wait to report back what I did this past week in my post next Sunday! 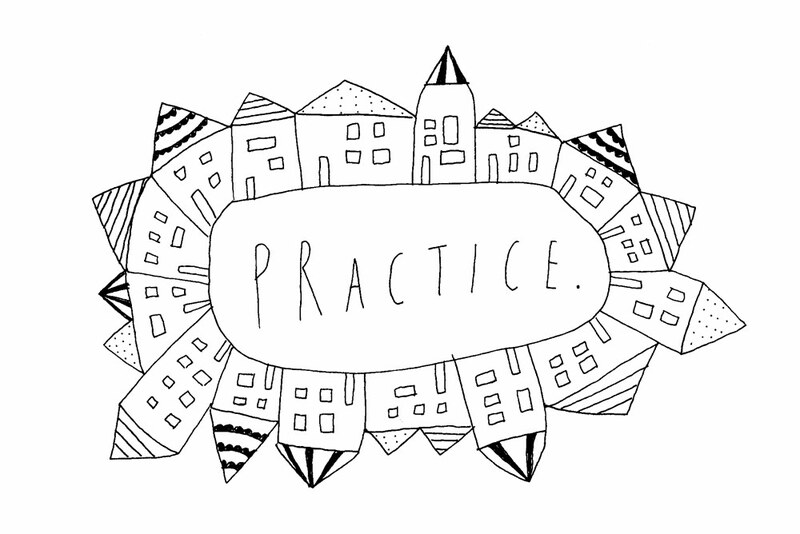 Happiness Project Reflection 6: Practice Makes Perfect? Hello friends! I hope you’re doing well. By the time this blog post comes out, I will have told everyone I know that I’m quitting my day job at the end of July!!! It’s super scary and exciting. I’m taking a break from having a regular job so I can devote more time and energy into pushing my art/illustration career forward for a while. I will write more about my exciting life change later in another blog post! Stay tuned! It’s a HUGE change, believe me! Today I’m reflecting on the concept of “practice makes perfect.” I mentioned on my Why I Want to Write Regularly post that I set a goal to write regularly because I’ve never felt writing was my thing. It takes me a long time to put my thoughts on a paper in a coherent and compelling way. In order for me to feel comfortable putting something in the world, I need to be able to formulate my thoughts, analyze it and organize it. Over and over. 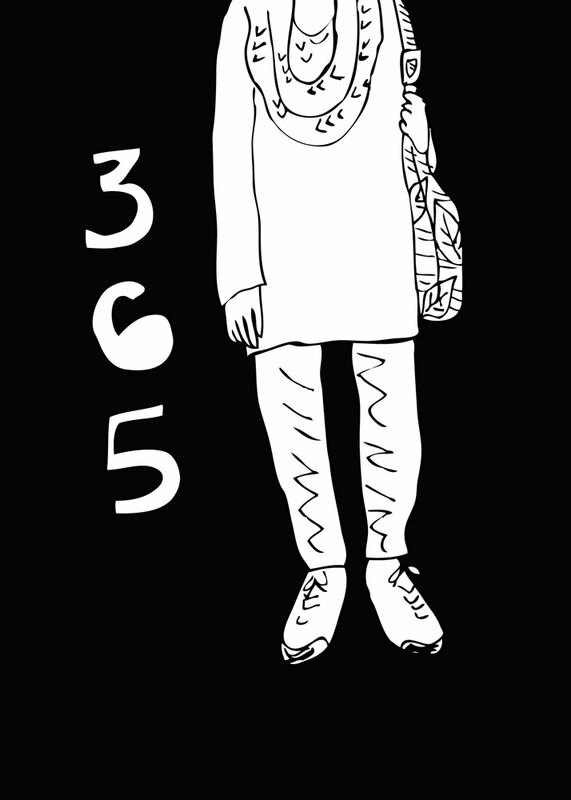 One of the many benefits of doing the 365 Day Happiness Project was I forced myself to draw something every day. Before that, I drew occasionally. I would draw when I had specific projects to work on and then get busy with other things in my life. I knew that wasn’t a good practice if I wanted to be a working artist/illustrator. How would I know if I like having a career in art if I didn’t know what it’s like to draw every day all the time? I also mentioned in my Your Imperfections are OK post that you may never feel your work is “100% perfect” no matter how much you practice. You will get better, though, and you will find your voice or your “style” through consistent practice. In fact, it may be the only way to get better and develop your own style. In the beginning of my 365 Day Happiness Project, I would sketch in pencil first and then trace it with pen because I was afraid to make a mistake. I was also trying different styles of hand-lettering and writing too. I would create the lettering separately, scan in both the drawing and lettering, digitally color them in, and make one picture to post. Sometimes I would use a drawing pad to write my words. I use Pigma Micron pens in case you’re wondering. You might notice that I was much more experimental with my hand lettering in my early days. I wanted fancy hand-lettering to be my “thing.” I took a hand-lettering e-course by Seanwes and drooled over many fancy hand-lettered pieces on the internet. Although I still love beautiful hand-lettered pieces and try a few different styles now and then, I settled on these very casual hand-writing/lettering styles. I think it works well with my overall style. I still just draw with a pen or a paint brush for many of my works. I love that that’s my style. It’s not “perfect” but it is “me”. Simple, relaxed, and friendly. Just the way I want you to feel when you see my art! I’m going to say this again. Don’t worry about becoming “perfect“: It is a dangerous trap for many of us. What you want to see is improvement in your work over a period of time. It’s easier to see your improvements if you compare your work from a year ago vs. a week ago (unless you put in many many hours of practice in one week!) Are you happier with what you made? Are you consistently producing high (or higher) quality work? Are you putting in your best effort into your work? What about your work says it’s yours? I hope you had a lovely week. 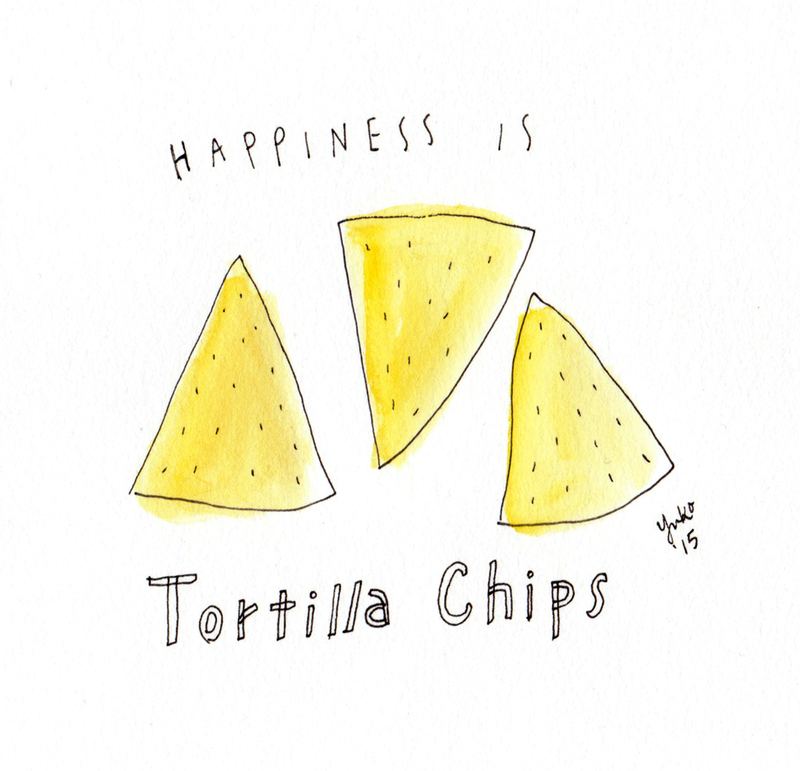 Welcome to my Happiness Project Reflection series blog post No. 2! Have you ever felt like your creative juice had stopped flowing and don’t know if or when it’s coming back? Felt like you aren’t a “real” artist because you aren’t inspired to draw, paint, write, cook, or make something all the time? Do you think all the successful creative people wake up every morning full of inspiration and motivation to create? I used to believe it too. But you know what? That is not how it actually works. No matter how passionate you are, the inspiration and motivation to create don’t always come naturally or freely. Creation takes work. It’s about having your own unique voice and experiences and using your skills to turn them into something others can see, touch, taste, hear, smell, feel, and appreciate. The creative process can be painful at times: you may feel frustration, self-doubt, or disappointment. You have a vision but what you create doesn’t quite cut it. You feel even less inspired because what you’ve just created is far from inspiring. 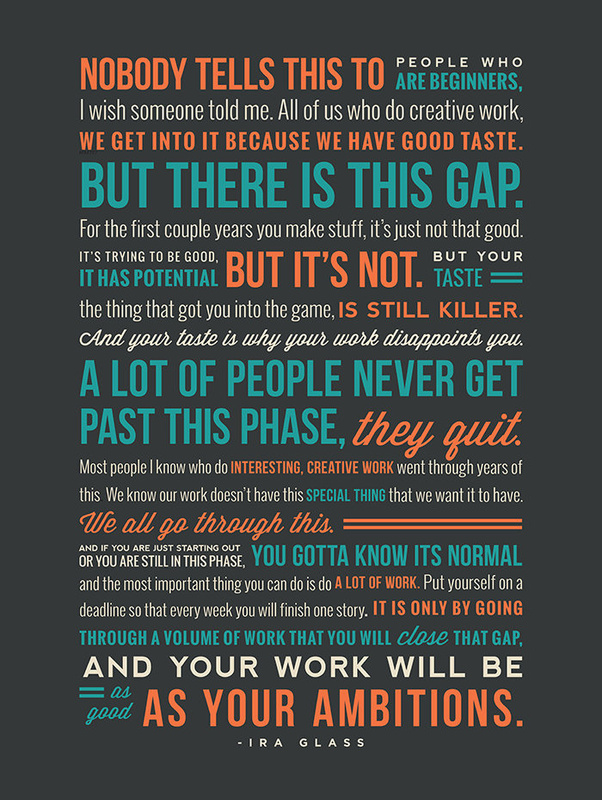 You may have seen/heard this quote from Ira Glass before. Every time I look at it, I feel humble and reassured. Everyone feels this way, and it is totally OK. If you love making things just for fun, it is totally cool to wait until the inspiration hits you. There is absolutely nothing wrong with that. I know many talented artists who choose not to pursue a career as an artist and are completely happy making art for fun. But If you really want to turn your passion into a thriving career, then you need to create even when you’re not inspired. When I made a public commitment to start my 365 day Happiness is project, I knew it was the kick in the pants I needed to keep a daily creative practice going. On some nights, after I came home exhausted from my day job, I would eat dinner, do the dishes, and sit down at my desk staring at the blank page in my sketchbook without an inspiration. I would browse the internet hoping an inspiration would hit and end up wasting over an hour reading my friends’ updates on facebook. On other days, I would have a vision but couldn’t execute it right. I would draw, and it would look like crap. I would whine and moan and feel like a fraud drawing about happiness. Sometimes I felt like I was squeezing a lemon that had been squeezed 100 times to get just one more drop. At the end of each day, I still managed to find something to feel happy about and made and shared a drawing every day for 365 days. And that was so rewarding and worth all the pain and lost sleep! 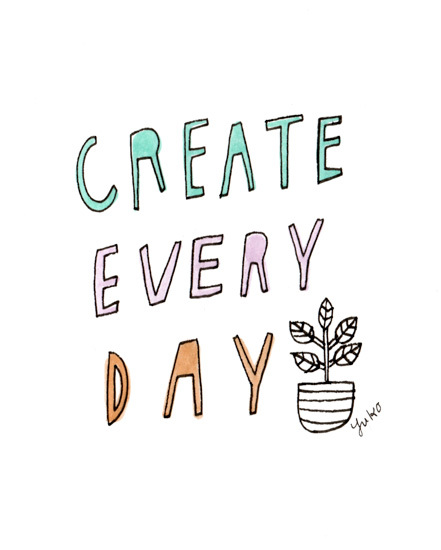 Are you struggling to create every day? Do you need a little push to get you going? Here are some suggestions! Make your commitment public. Tell your friends and family. Announce it to your followers on social media. This has been the most effective method for me so far. 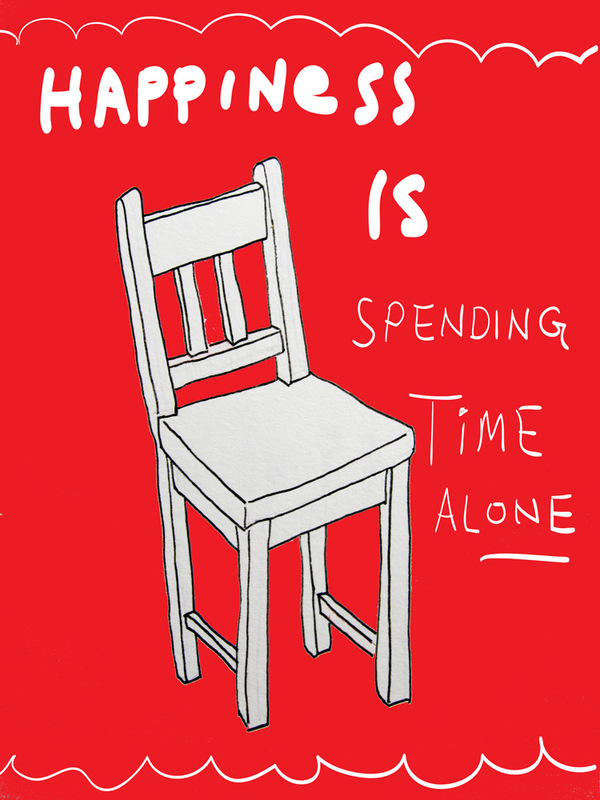 Take advantage of the “free” time you already have. Doodle something while waiting for your drink at a coffee shop. 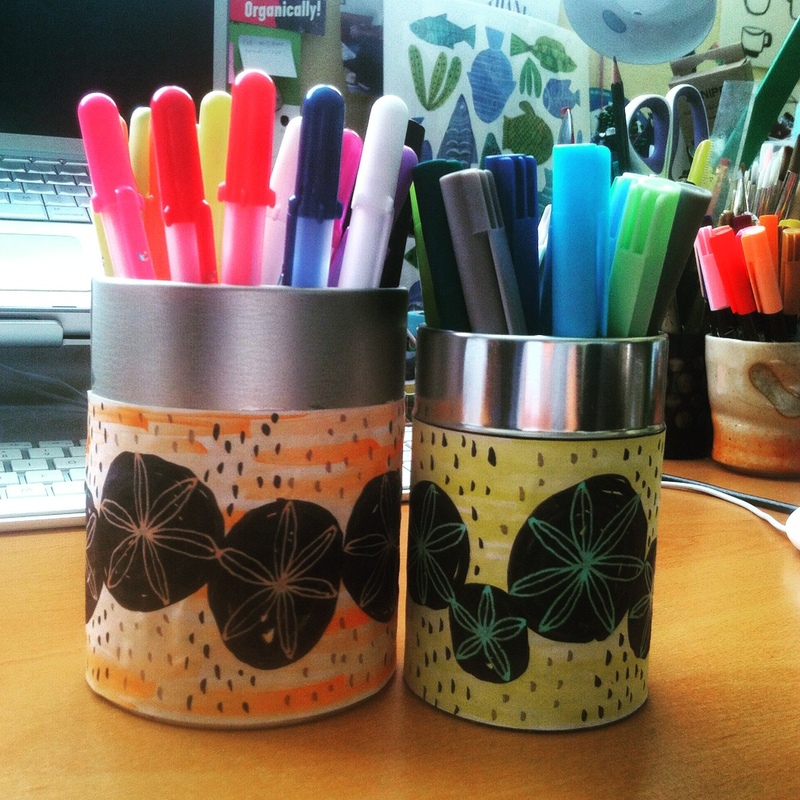 Create your post-it art collection while listening to a webinar. It doesn’t have to be a masterpiece. You just want the creative activity to be part of your everyday life. Make your goal realistic. Maybe making an elaborate painting every day isn’t feasible but doing a 15 minute doodle is. Consistency is more important than having a fancy goal you’re going to quit after 3 days. Set perimeters and limits for your creative project. When you have total freedom, you may feel overwhelmed and don’t know what to do. Give yourself perimeters like “only draw with black ink” or “draw a cat wearing a suit in 30 different ways”. After all, creativity is most required when you’re put in a box! Ask someone to give you a prompt if that’s helpful. My non-artistic husband is full of interesting prompts when I need them. Participate in creative challenges ! – there are many challenges out there – I found this article about Instagram Challenges, and Spoonflower has a weekly design contest. Speaking of which, I’m currently participating in a 30 Day Sketch Challenge on Instagram (#MakeWithMe with @janinecrum) It’s nice to have a group of folks who are working on the same goal, and it’s always inspiring to see different styles of art people create! Clarify the connection between your daily practice and your long term goal. I’m realizing this more and more. When you know how your daily practice (e.g. 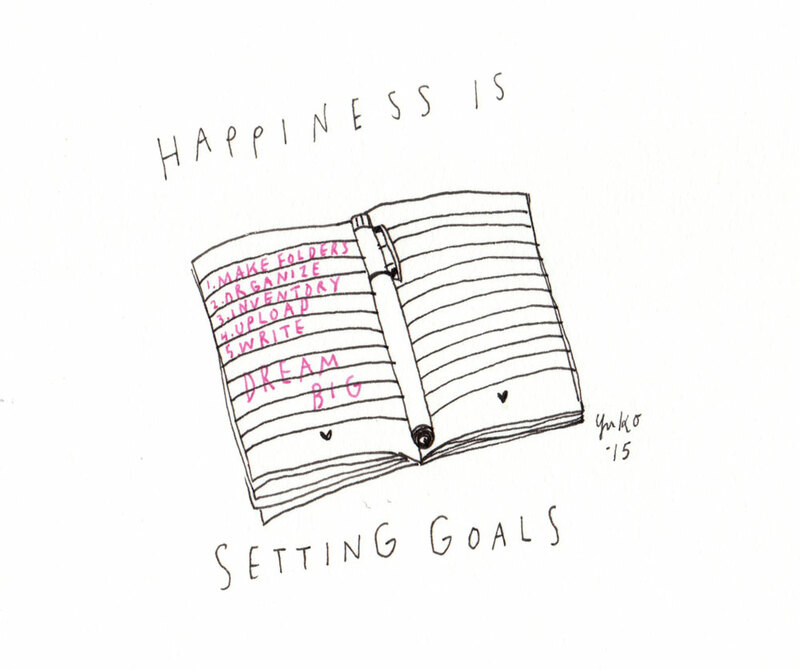 daily happiness doodle) is helping you achieve your big goal (e.g. be a full-time working artist), it becomes more meaningful and engaging for you. Remember, your goal should be about creating something on a regular basis, if not daily, even if it doesn’t look perfect or nobody “likes” it. When you make a bunch of work, chances are, you will find more inspirations from your own work. It could be the 10th drawing of an apple that turns out just right that makes you want to create a series of drawings of tree fruits. 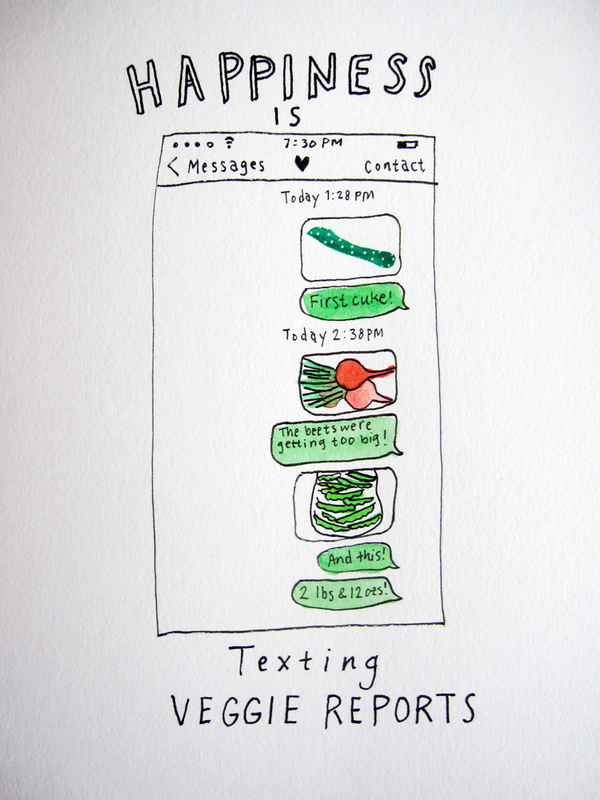 Or it could be that someone telling you your daily sketch challenge inspired them to do the same. You just never know until you do it! Tell me what helps you create when you’re not in a mood. We all have those days. 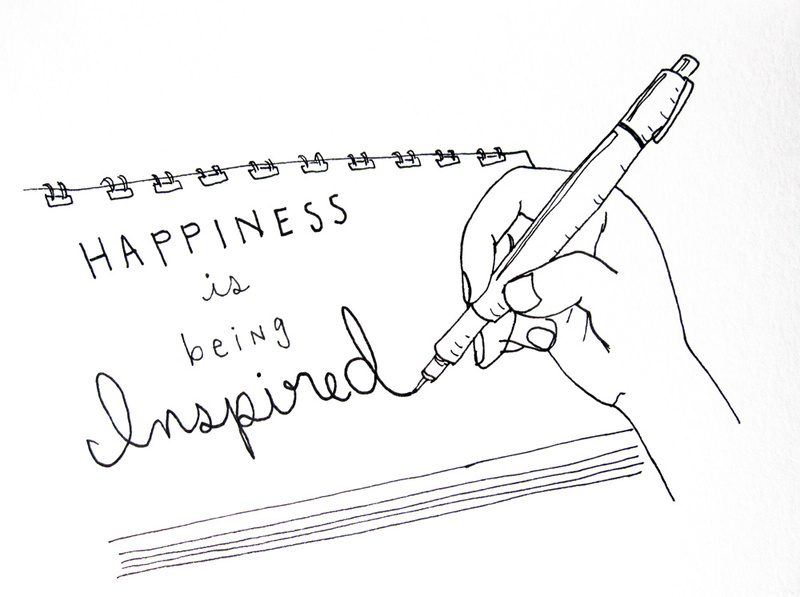 I look forward to continuing with my Happiness Project Reflection series blog post next Sunday!